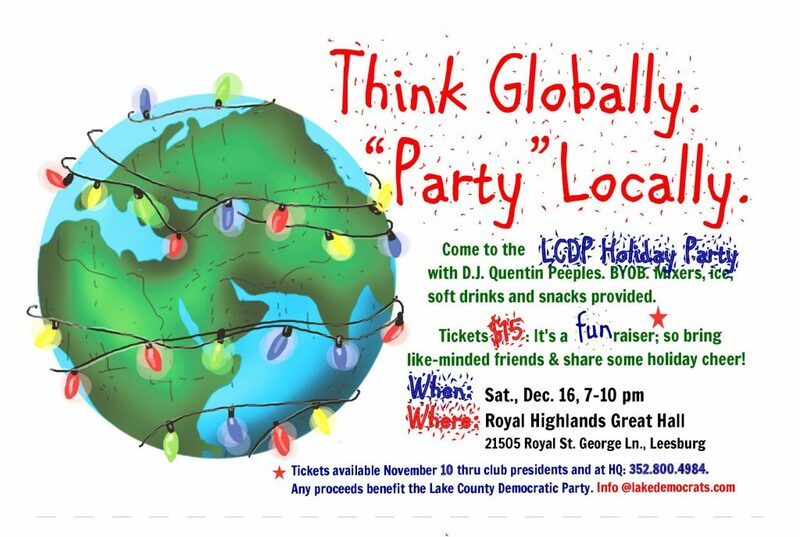 All Democrats, their friends, and family are invited to the ‘Fun Raiser’ Holiday Party, Sat., Dec. 16, 7-10 pm at the Royal Highlands Great Hall, 21505 Royal St. George Lane, Leesburg, only $15 per person. It’s a BYOB; mixers, ice, soft drinks and snacks provided. D.J. Quentin Peeples will provide the dancing music. In the holiday spirit, we will also collect canned goods for a local food pantry. So bring a can or two and wear your dancing shoes! !